For Henrik Lundqvist, one of hockey's top goaltenders, it doesn't matter if it's pre-season, regular season or post-season…every single game matters. The Swedish native appeared in 62 games during the regular season, leading the Rangers to their best regular season record since 1993-94. He set career-best marks in save percentage (.930) and goals-against average (1.97), ranking fourth in both categories. He also set a career-high in wins (39), finishing third in the category, and tied for third among goaltenders in shutouts (8). His season got off to an emotional start when he and the Rangers faced off, as the visitors, against Frolunda, the Swedish team Lundqvist played seven seasons for before joining the NHL ranks in 2005. 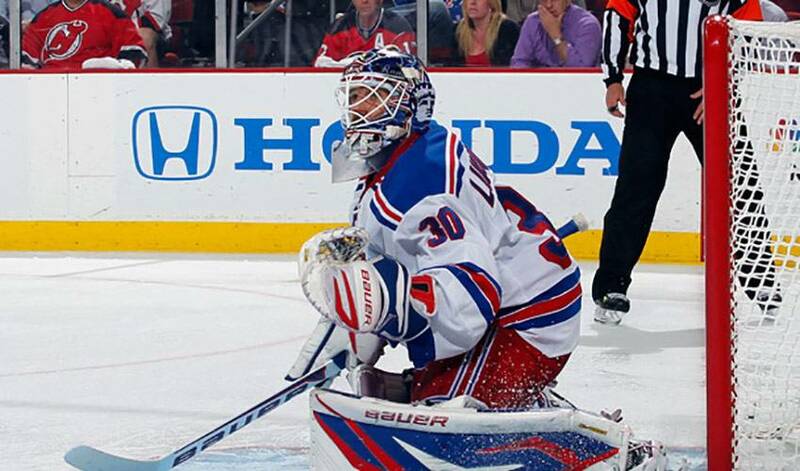 The crowd chanted Lundqvist's name and gave him several standing ovations throughout the 4-2 New York win. He was also awarded a certificate that made him an ambassador to the city. For those who skate in front of him, Lundqvist, who received his first nomination as a finalist for the Ted Lindsay Award in 2012, exudes and instills confidence at every juncture of the game. Teammate Brandon Prust knows what to expect from his goaltender every time he straps on the pads. Lundqvist, the first goaltender to be nominated for the Ted Lindsay since Roberto Luongo was a finalist in 2006-07, has 252 career NHL victories, accompanied by 21 shutouts, including 19 over the past two campaigns. His first goal, however, is in bringing a Stanley Cup to New York. “He wants to be the best and he works hard to be the best every time he's in he net,” offered Del Zotto, of Lundqvist, who set a Rangers club record for games played in a single season with 73 in 2009-10. Lundqvist is also dressed for success, too. In 2004, he was awarded Best Dressed in Sweden. Two years later, he was named one of People's World's 100 Most Beautiful People. In December 2008, he was named one of Page Six Magazine's Top 25 Best Dressed in 2008. Can Del Zotto outdo him when it comes to fashion style? Losing, in any circumstance, just doesn't suit the man known as King Henrik.